Know a guy who likes to cook? Marrrry him. 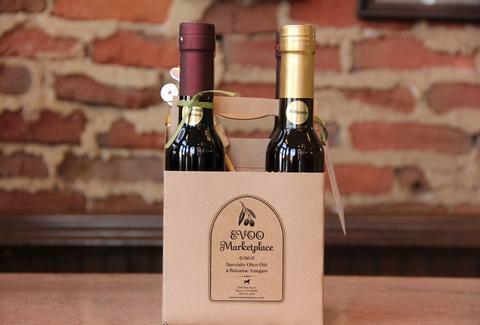 Or, at least buy him this four-bottle Grilling Gift Pack, which includes pineapple/ Sicilian Lemon balsamics, and Chipotle/ Garlic extra virgin olive oils, plus gratis gold/ silver spouts.